You are an individual with personal addiction treatment needs. At The Shores Treatment and Recovery, we simply understand that you are a unique woman with your own needs. Our very successful and respected women’s addiction treatment program is designed to provide women 18-years of age or older a higher level of care than the industry currently provides. Our women’s program focuses on both your needs as a woman, and as a beloved individual who has her own emotional, psychological, physical and social needs that differ in many ways from our male clients. We recognize that there should not be a blanketed “one size fits all” treatment for a woman’s addiction. Between so many modern social pressures, professional responsibilities, home commitments, and other everyday stresses, addiction affects you and your families differently. You have had your own experiences, struggles and difficulties leading up to and following your addiction. Our doctors, counselors and staff are all highly trained and licensed to care for your unique needs. No matter what personal hardships and stumbling blocks you have been through resulting from your addiction, know that you are not alone. At The Shores Treatment and Recovery, you will be a part of our loving family that will help you and your family properly address and treat your addiction on a long term basis both here at our center, and at home after. Why should you choose our woman’s addiction treatment program? Unlike so many other addiction treatment programs, with us you will never be treated as just a billable item or diagnosis. A customized program will be designed for you or your loved one, and extend far beyond your stay. Our addiction treatment structure is a unique blend between the most innovative medical practices, modern holistic services, comprehensive family care, spiritual approaches and a detailed aftercare plan. All these elements together have led to some of the highest success rates within the industry. Because of these results our addiction treatment programs have been recognized and respected Nationwide by various medical leaders, addiction advocacy groups, law enforcement and government agencies, even The White House. Our success will always be measured by our client’s long term successes, and like your family, we truly care about your future happiness free from your addictions. You are home at our Lake House: It’s so important that all of our client’s stay is in a safe, monitored and very comfortable home where they have the space and time to reflect, relax and rejuvenate on their paths to recovery. Our female clients while working through and healing from their various addictions, and experiences will live in a large, modern, and beautiful lake side home in a private HOA community about 15 mins from our treatment center. The house has many spacious semi private bedrooms each with their own bathroom. It also has a large modern kitchen, several large sitting/living rooms, large dining room, private swimming pool and patio areas. It’s also equipped with several security and outside surveillance features and supervised by our 24/hr. trained and certified staff. How may your program look for me or my loved one? While sharing many common stories of addictions, each woman has her own life story, differences and struggles. We care about you as an individual member of our family, and will take the time in personally getting to know each client and their loved ones. Your new and future life free from drug and alcohol addictions begins before you even arrive at our doors. We begin by pairing you with a caring team of Doctors and other professionals that are best suited to each client’s individual needs. 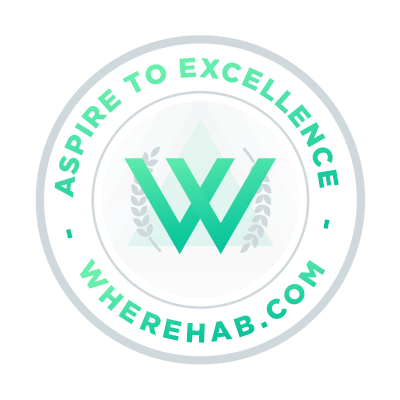 We will work with you and your family to develop an individualized program tailored to best address your addiction needs and will be there daily as a support through your journey to recovery. One of the first experiences with us will be while we speak with you as well as others who are a part of your support system. We will conduct a detailed pre-assessment of your substance abuse history, personal and family histories, pre-existing medical needs, and assist you with any medical insurance coverage and any other payment questions. Once entered into our care, you or your loved one will receive 3-4 times more individualized treatment services than most other programs offer. Below are just some of what you can look forward to in regards to the high level of care and treatments that you can receive. To help ensure your continued success our compassionate counselors will keep in touch with you even after your completion of our women’s addiction treatment program, and provide you with modern tools and home support system to help guide your recovery beyond your stay. You are a success story. Your addiction to drugs and alcohol is personal. Your recovery is personal. Our demonstrated successes are a result of our personalized caring approaches, our multiple and customized treatment options tailored to you as a woman, an individual, and as a member of a larger loving family made up of others who have walked down similar paths. Let us make you our next success story. If you are a woman or the loved one of a woman in need of the best addiction treatment help available, then please contact us immediately.